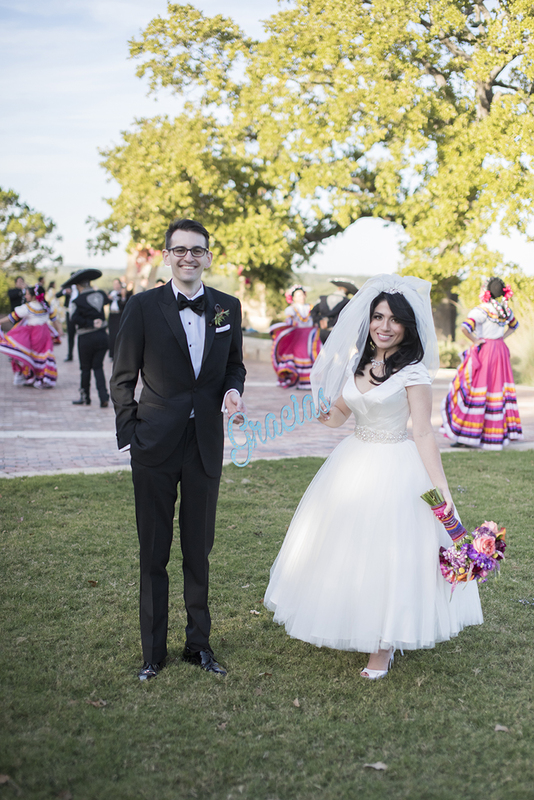 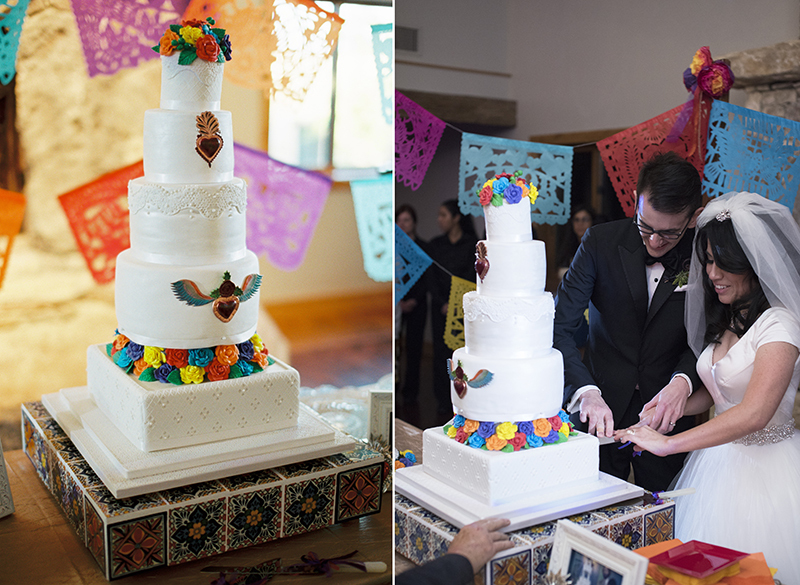 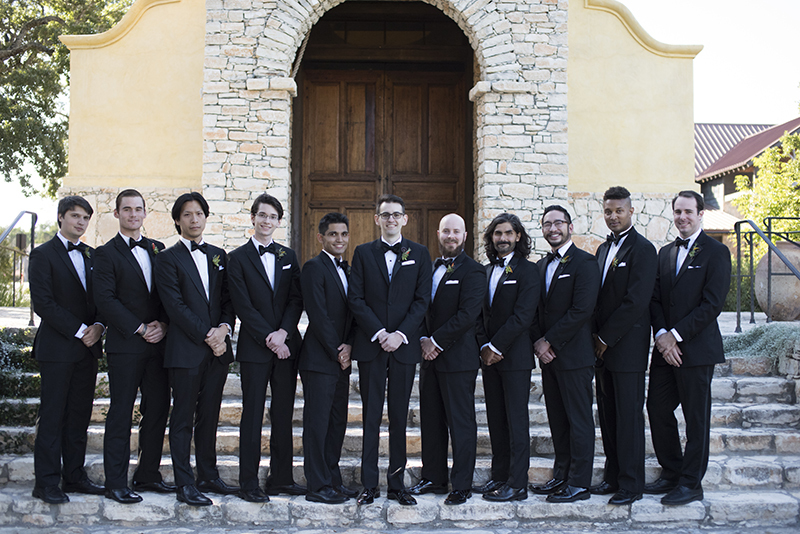 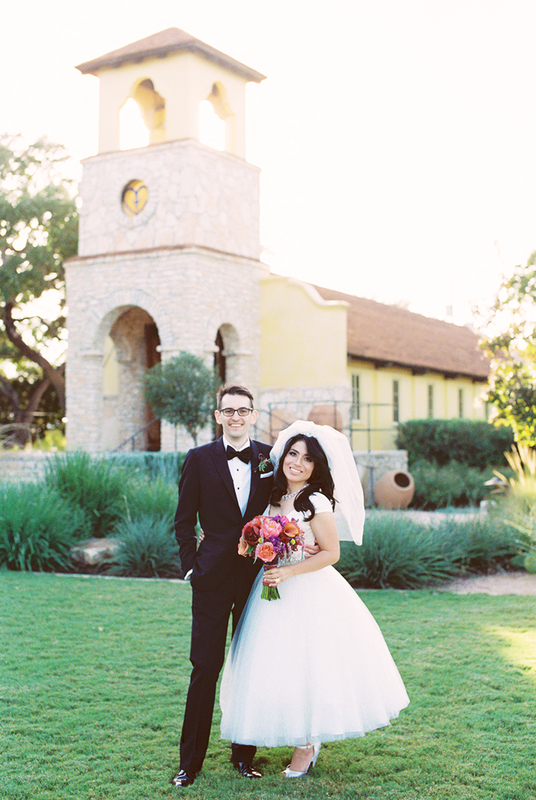 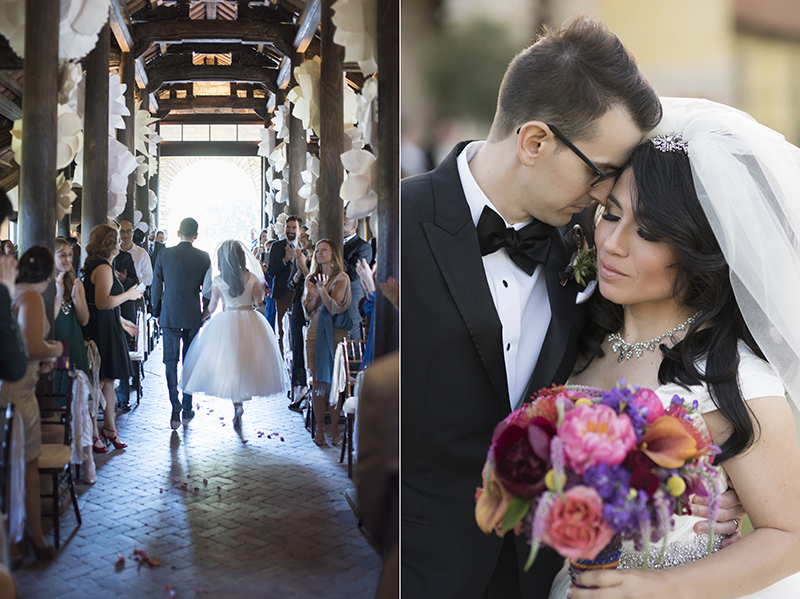 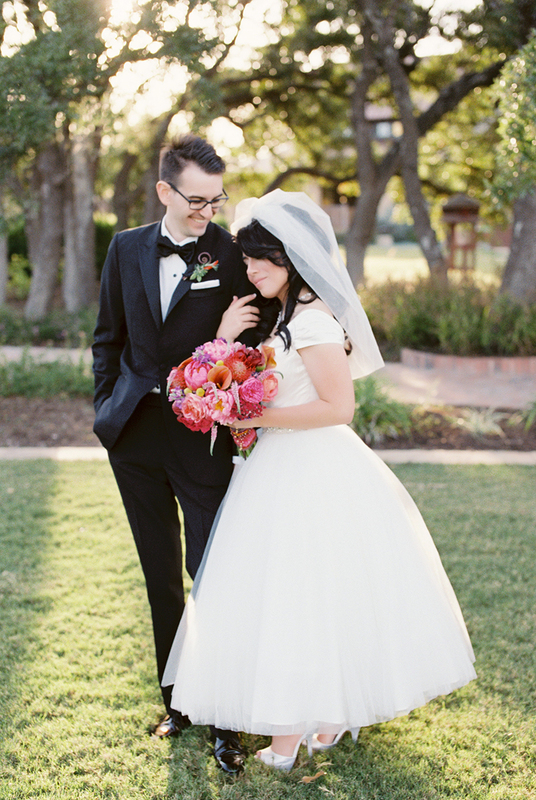 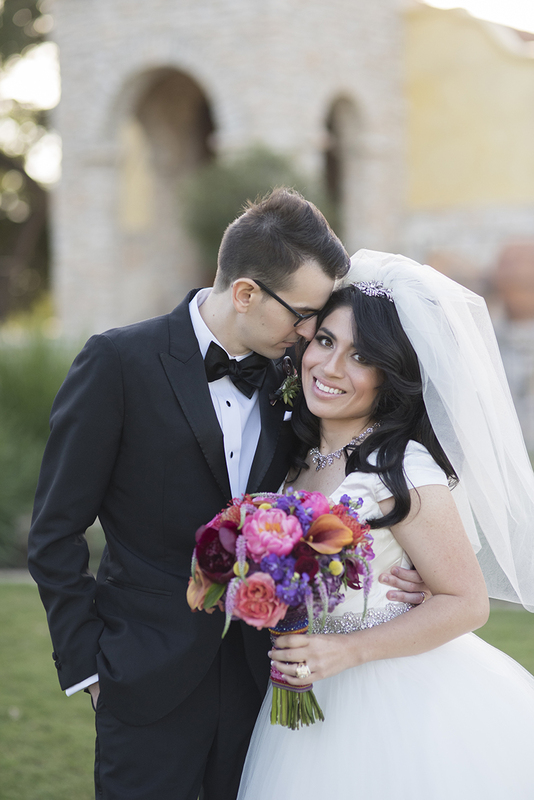 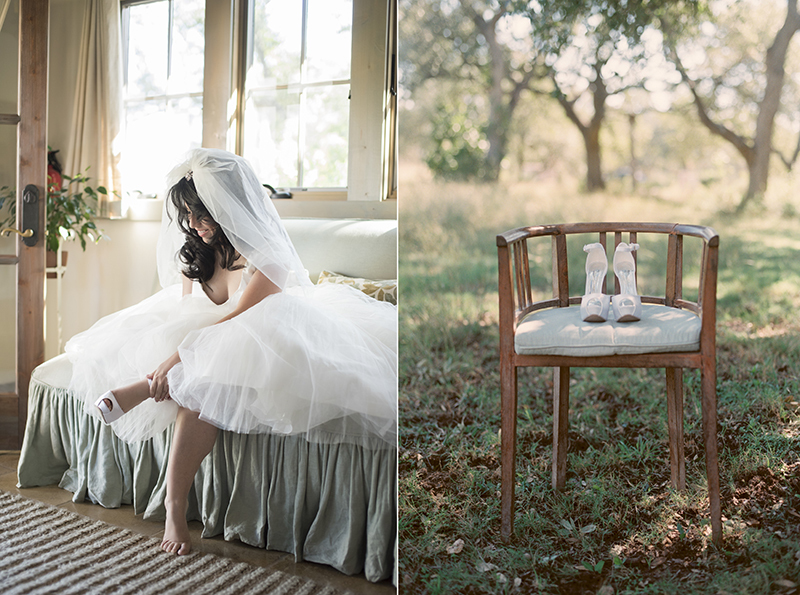 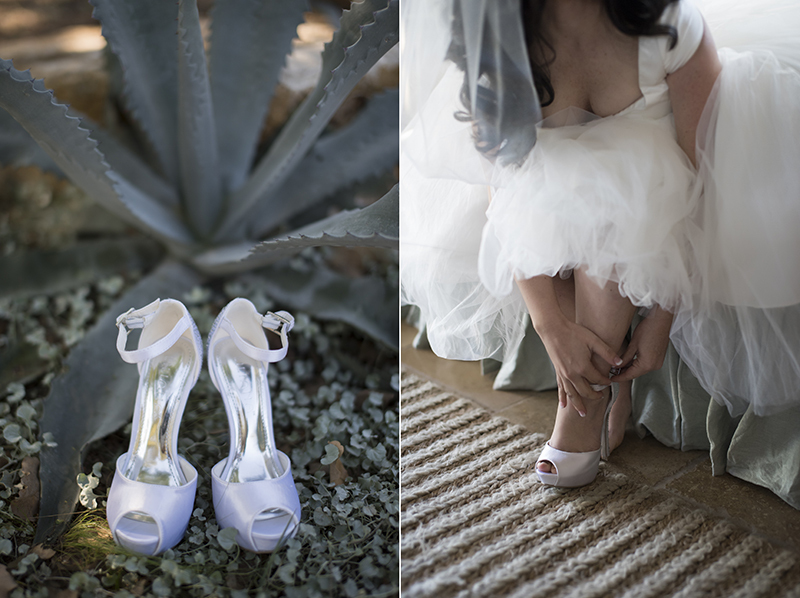 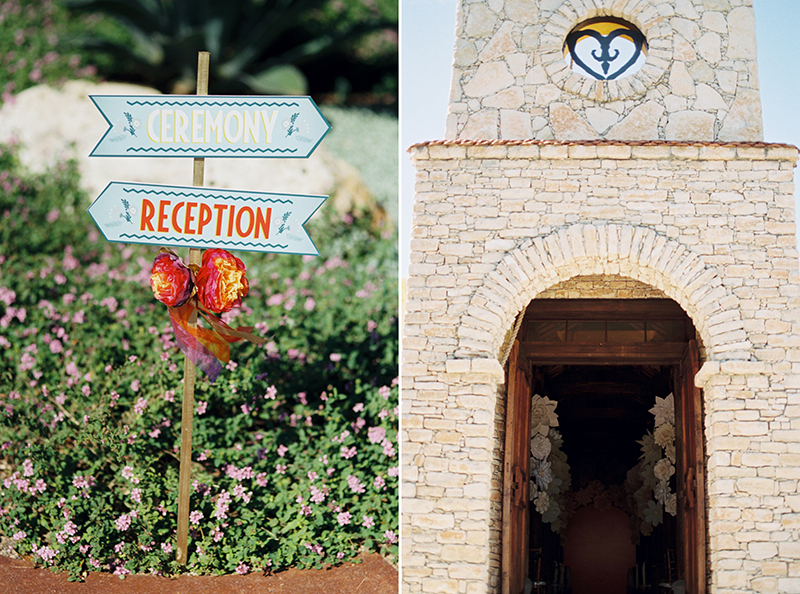 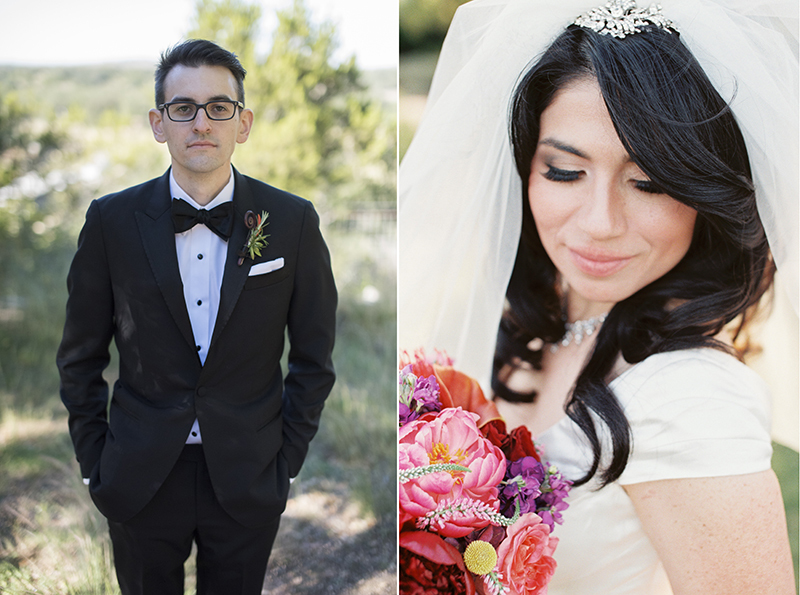 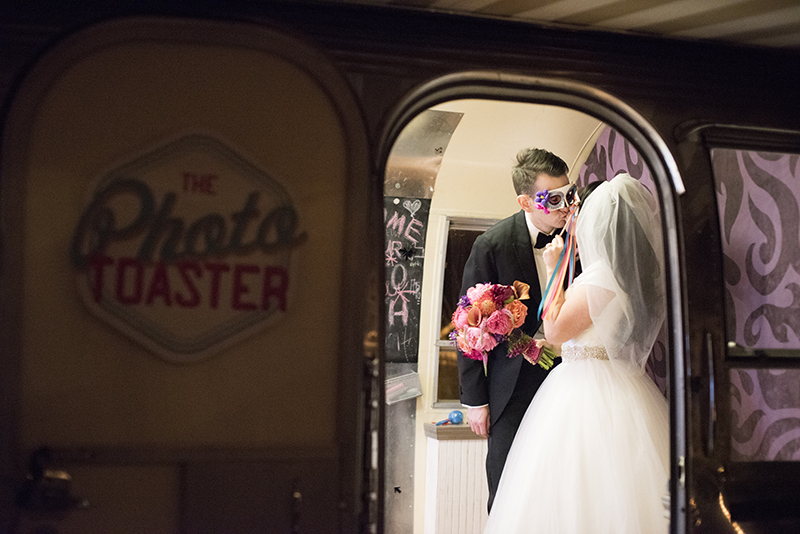 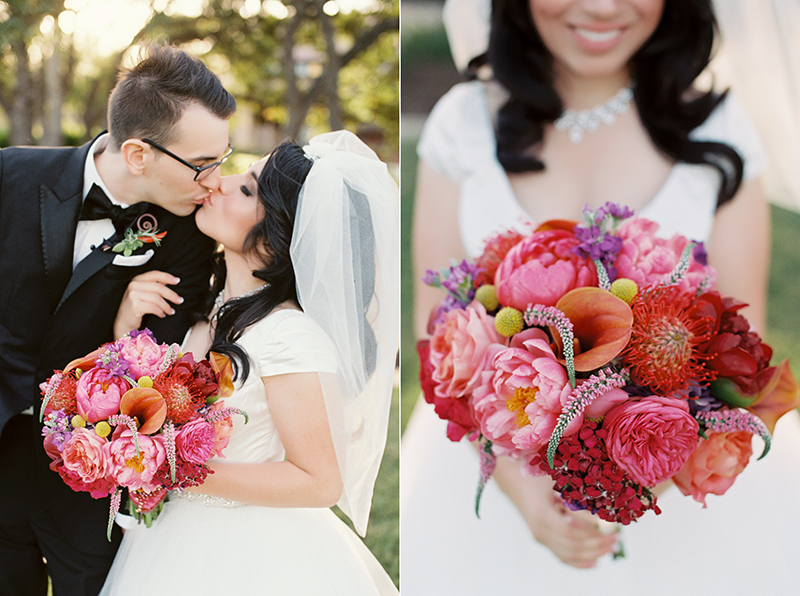 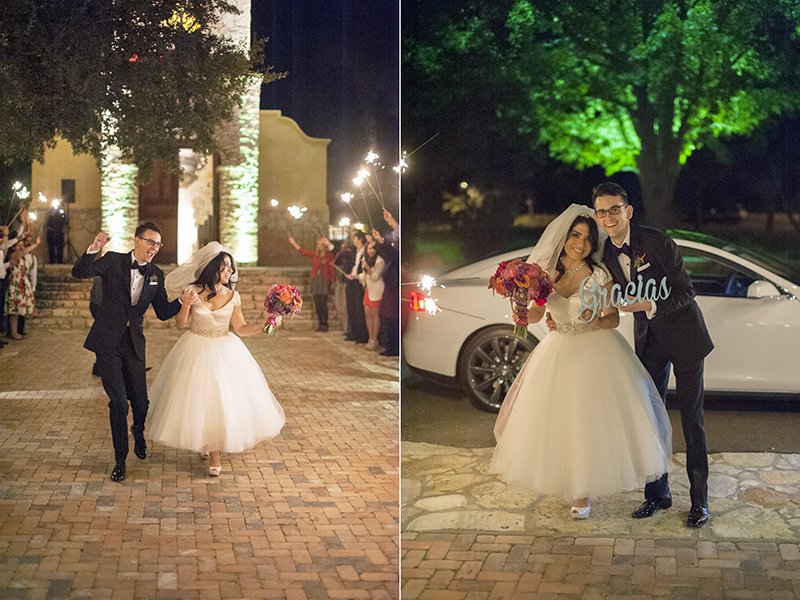 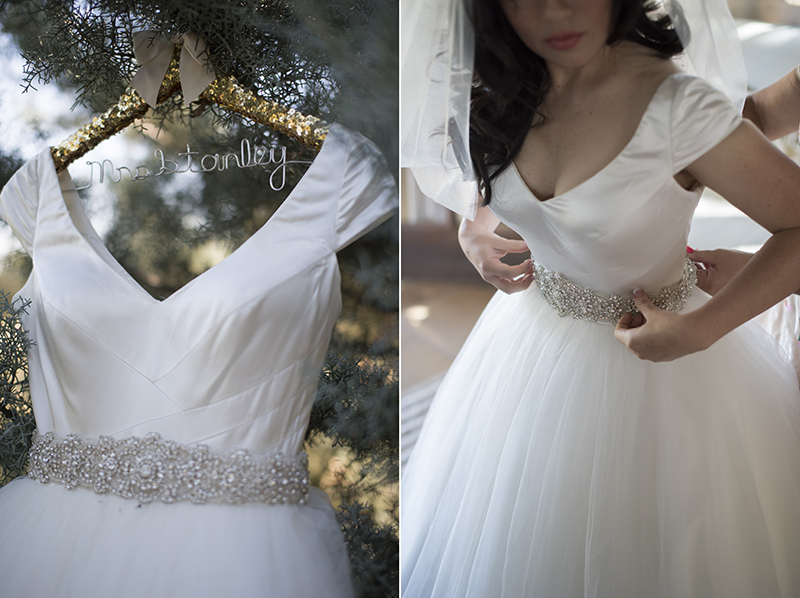 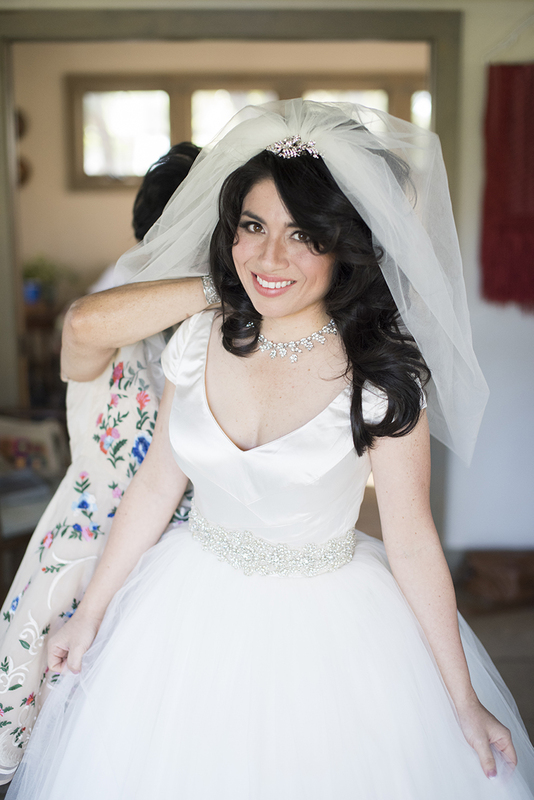 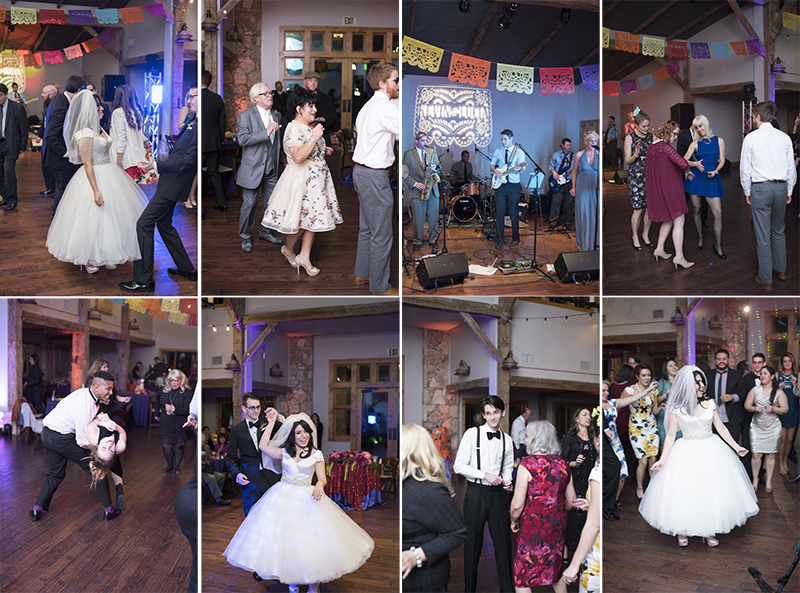 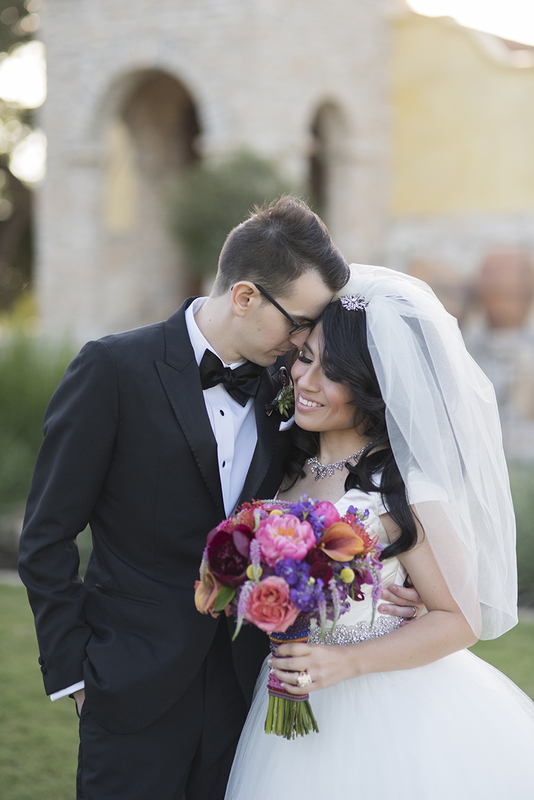 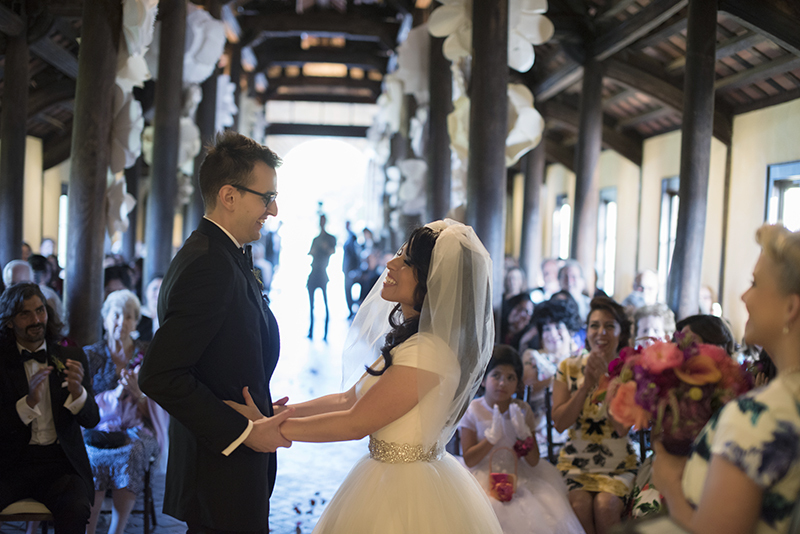 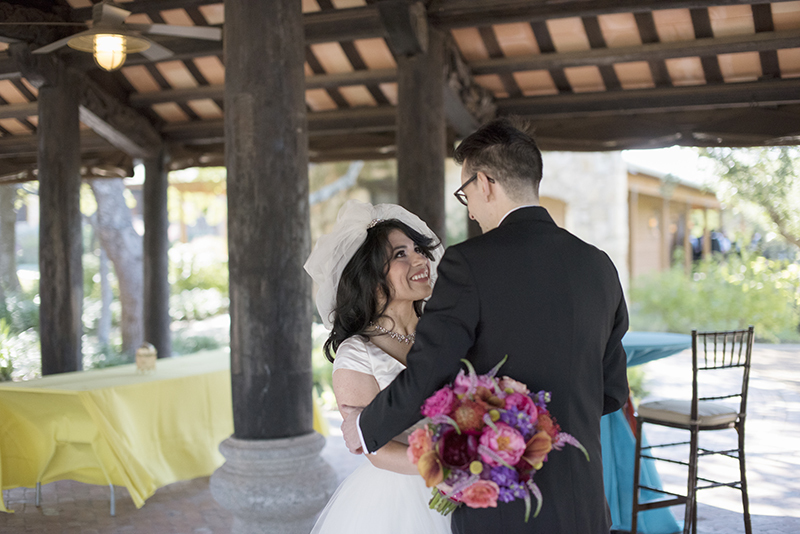 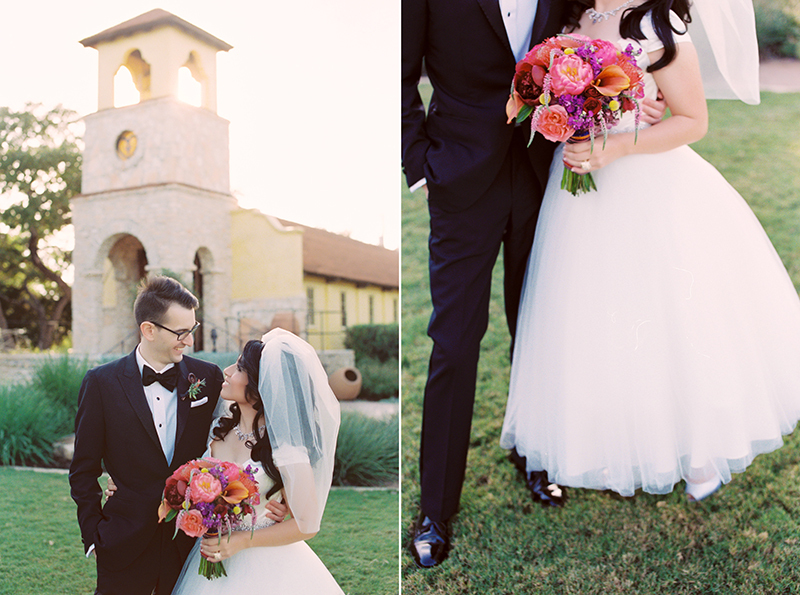 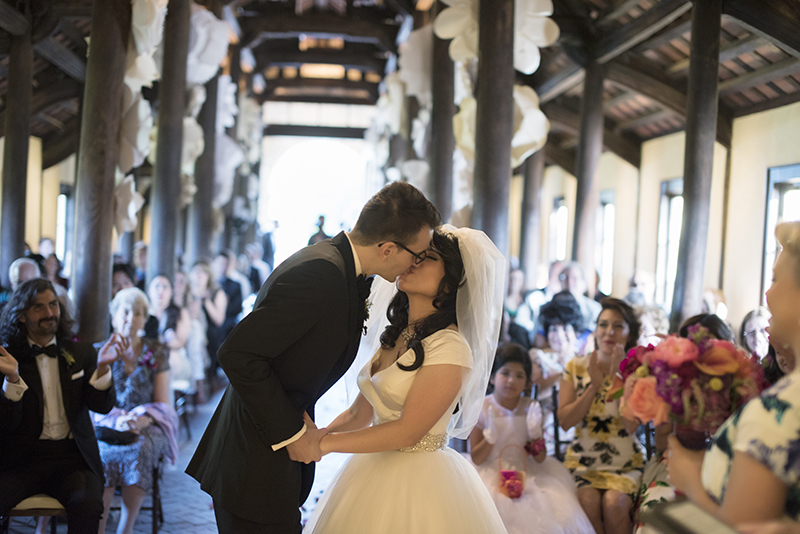 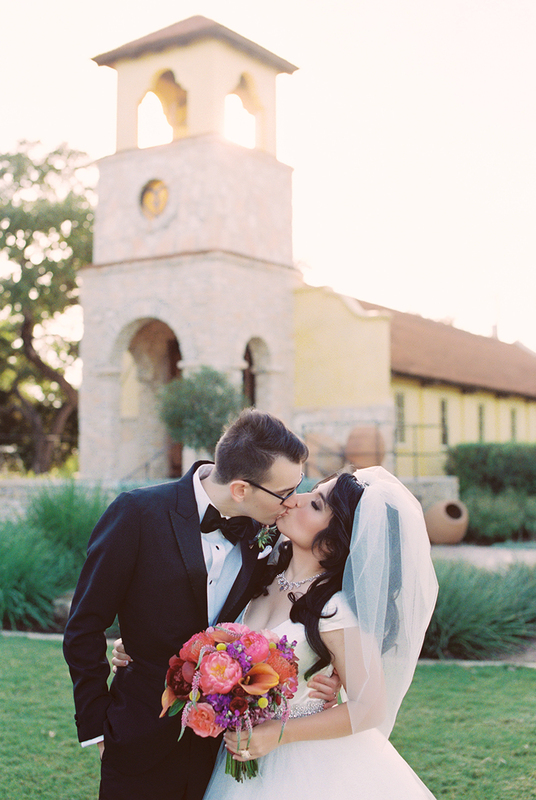 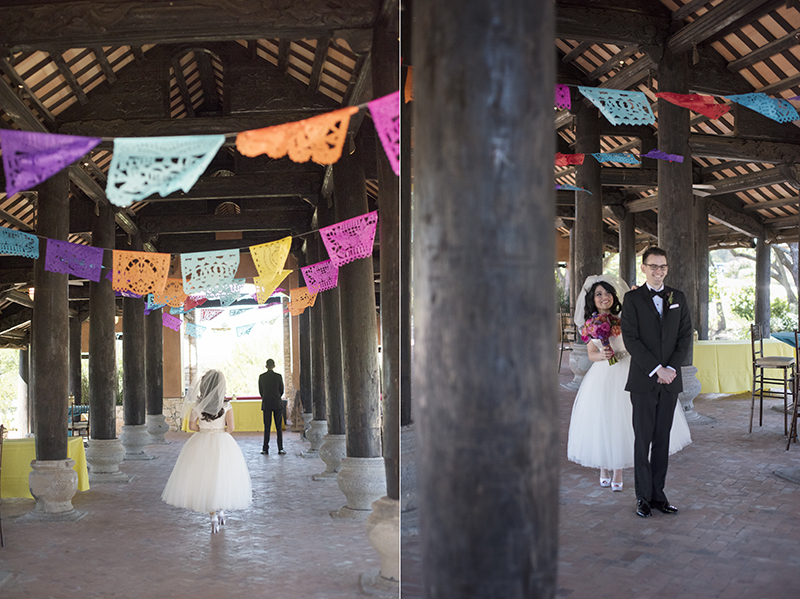 I am so excited to finally share Lucia and Kevin’s beautiful Mexican themed wedding. 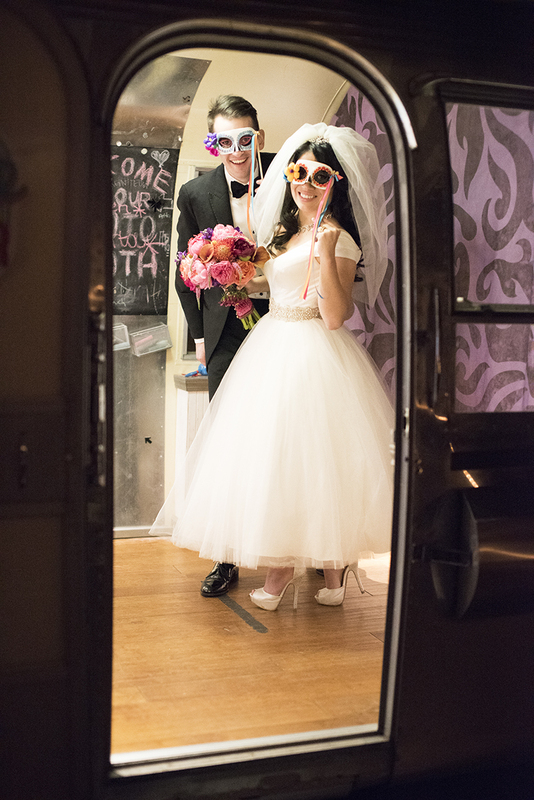 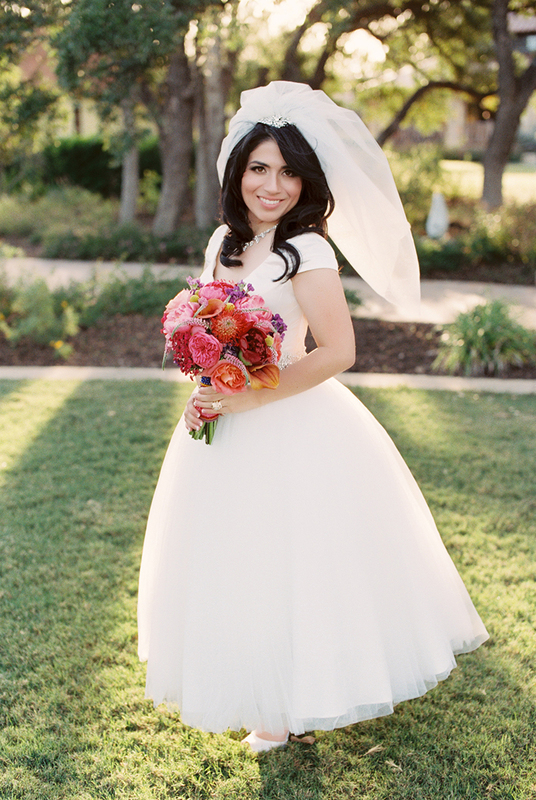 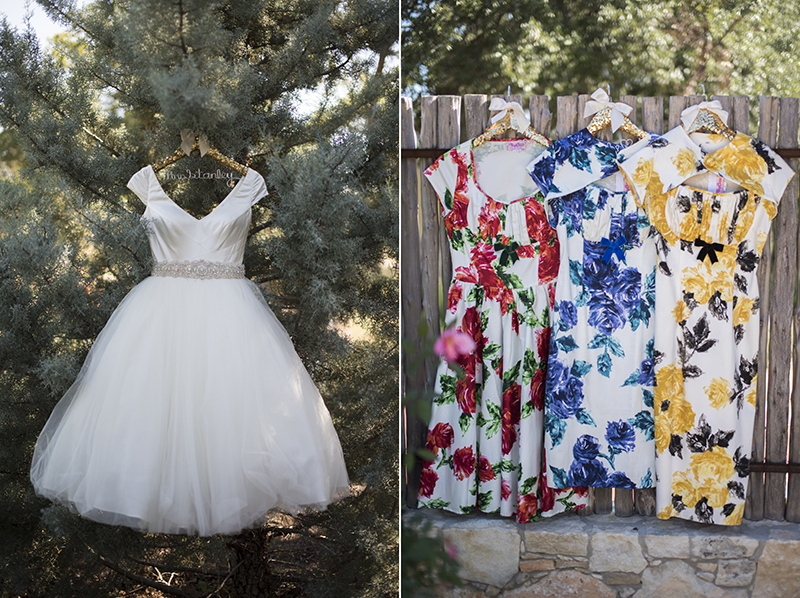 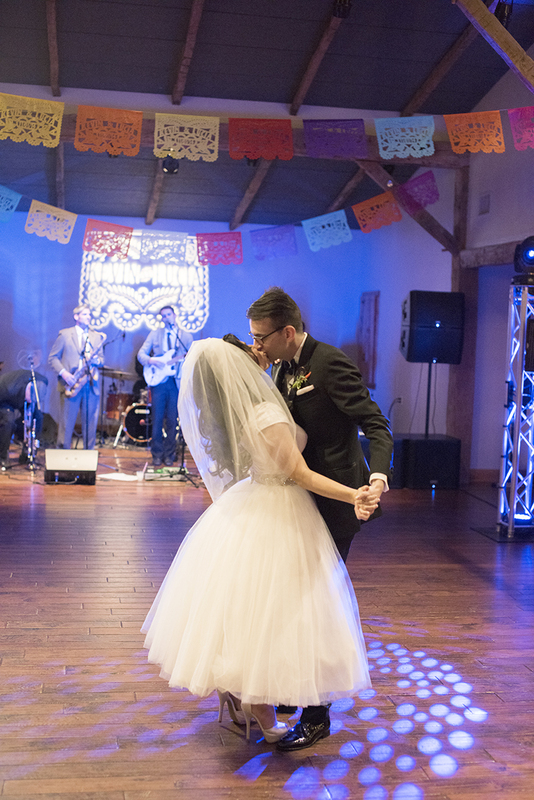 Lucia decided early in life that she would one day have a wedding filled with tons of color, music, and dancing! 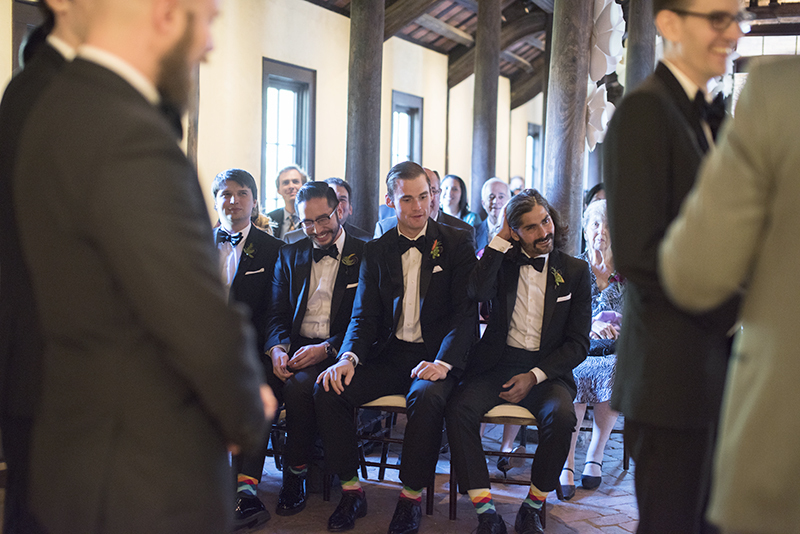 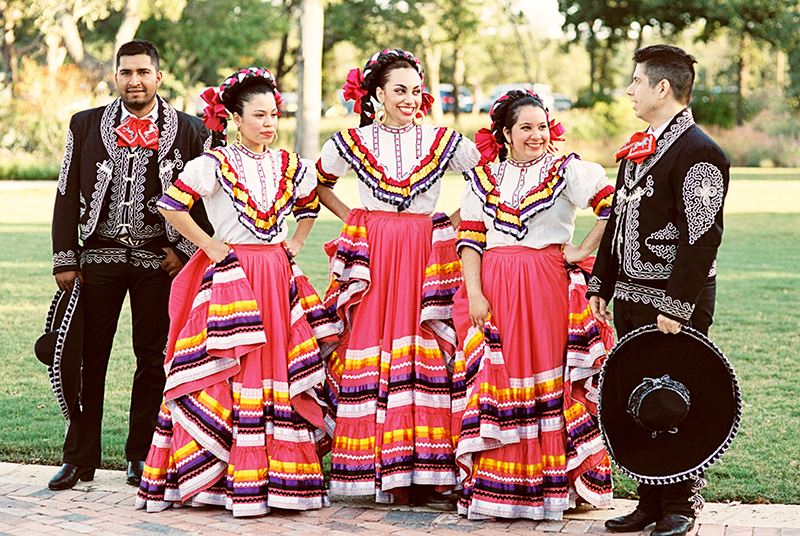 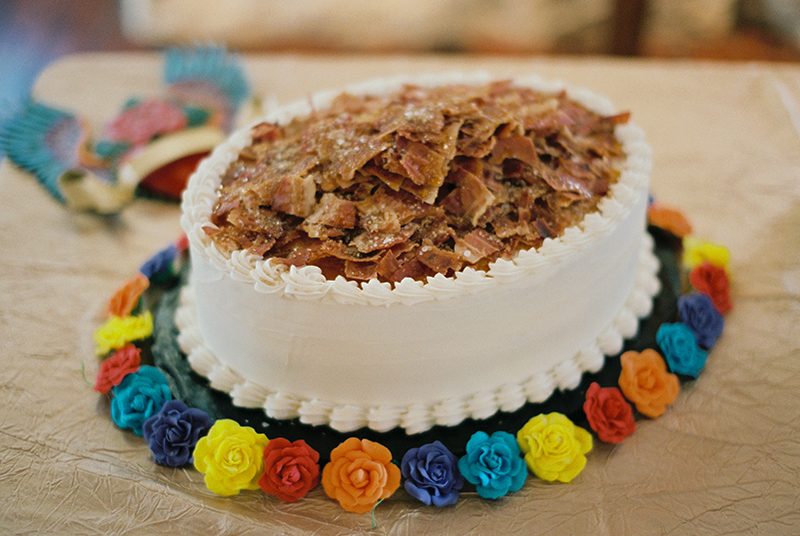 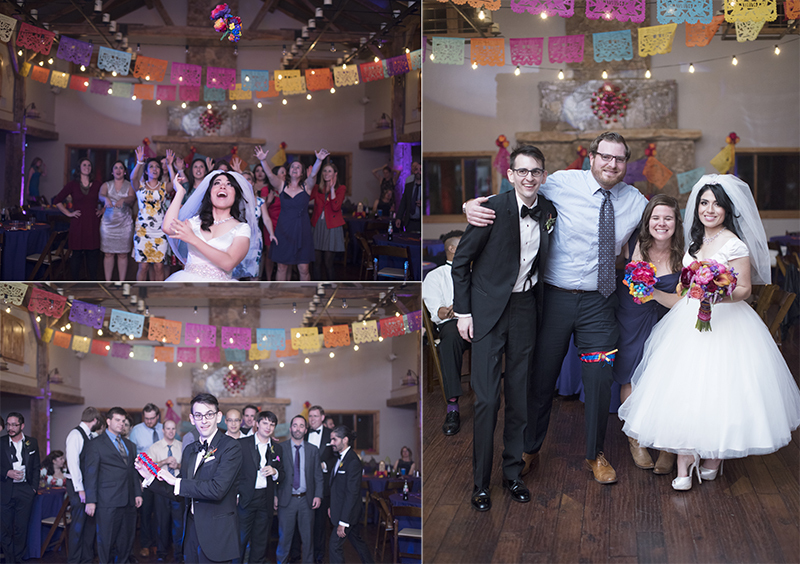 Luckily, the groom was enthusiastic with the idea of having a fiesta themed wedding. 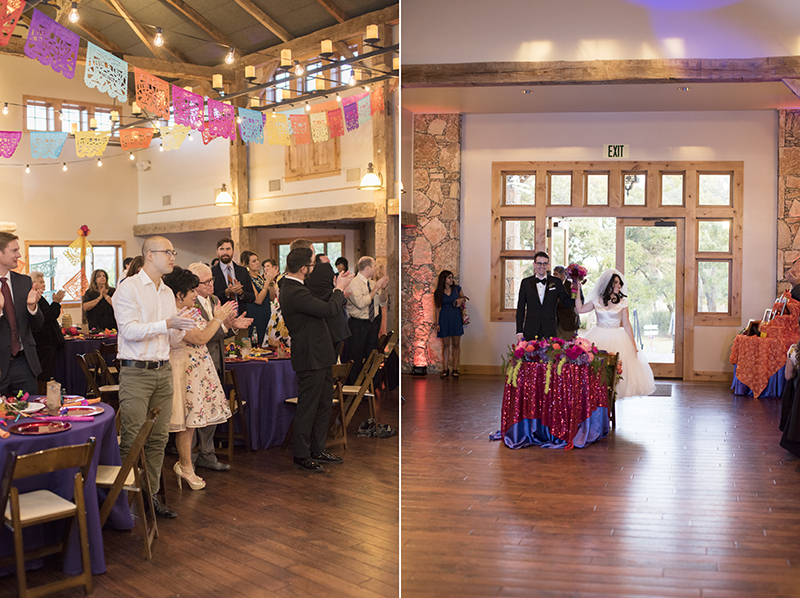 However, the bride sometimes questioned whether the groom’s motive was merely have Tex-Mex food during the reception lol . 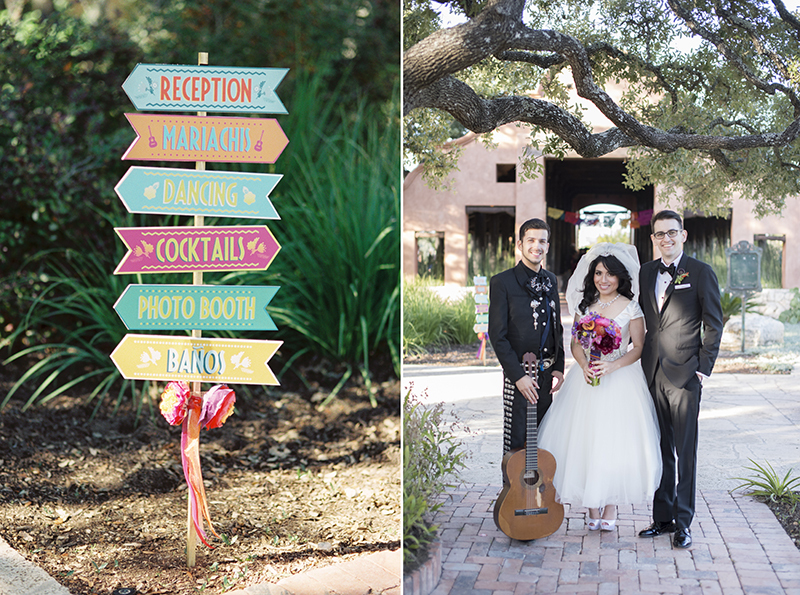 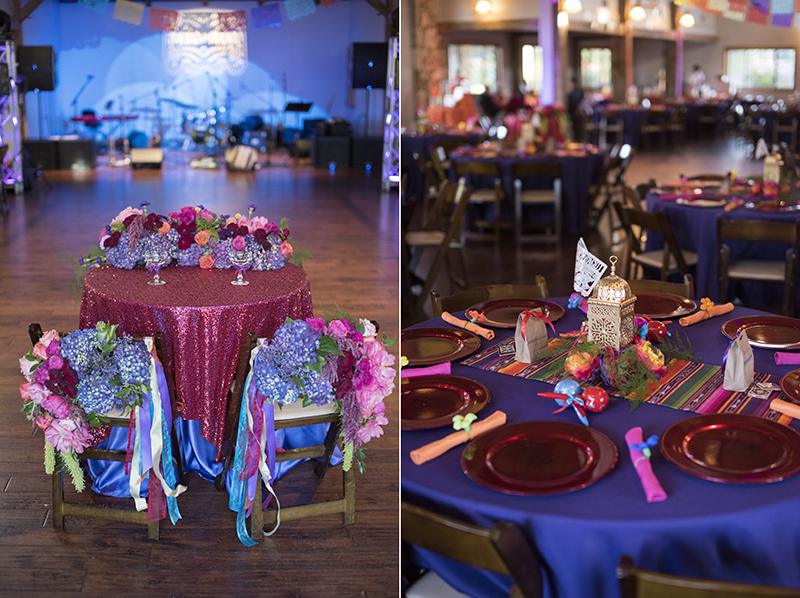 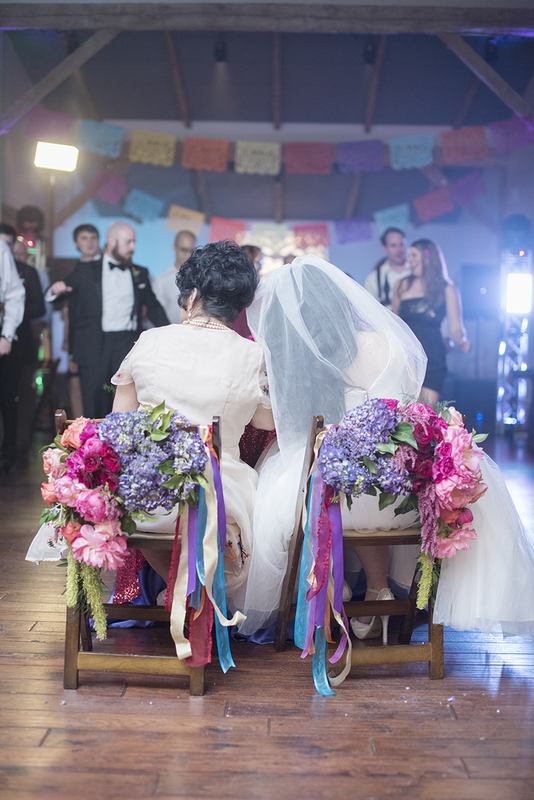 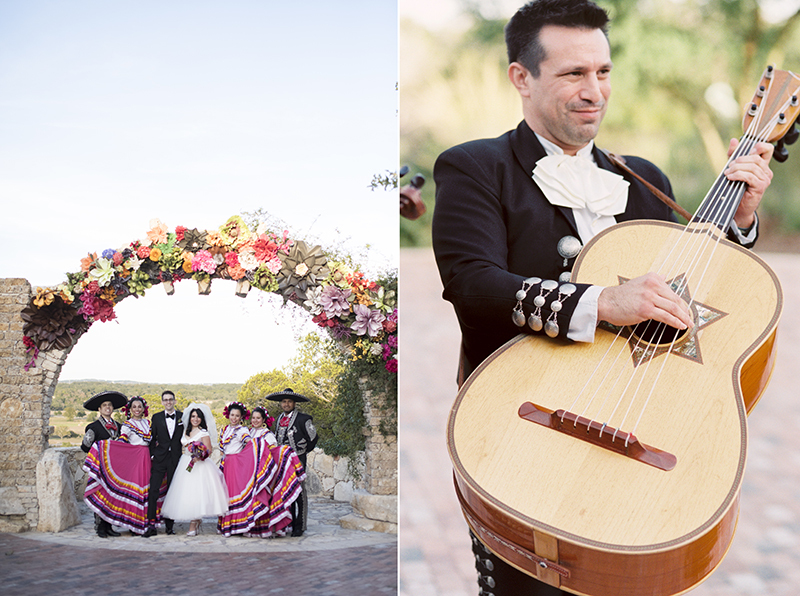 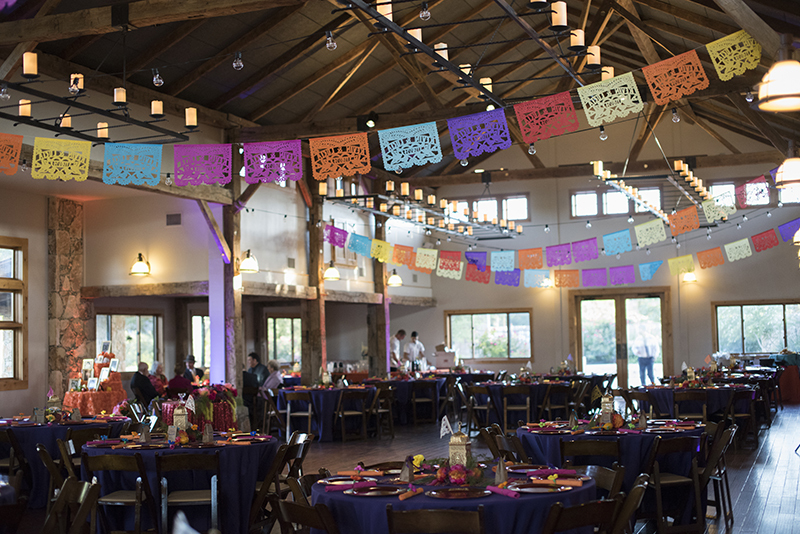 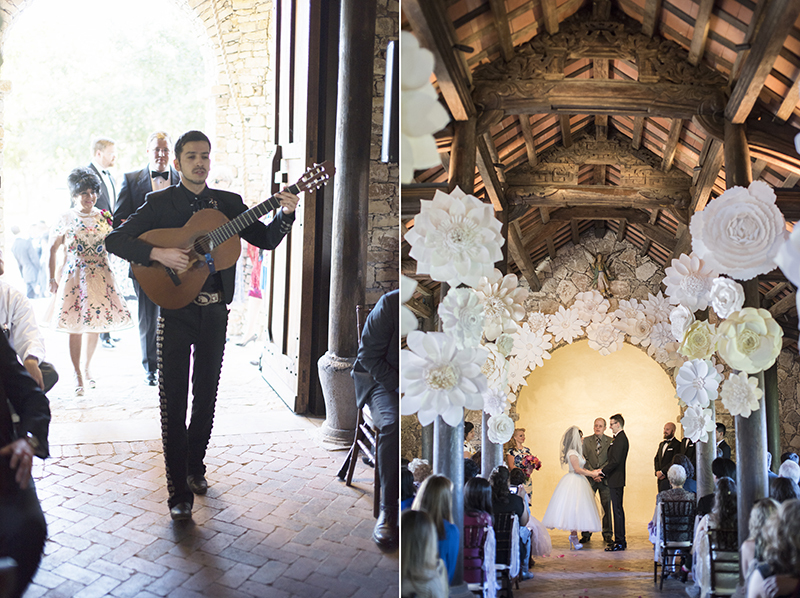 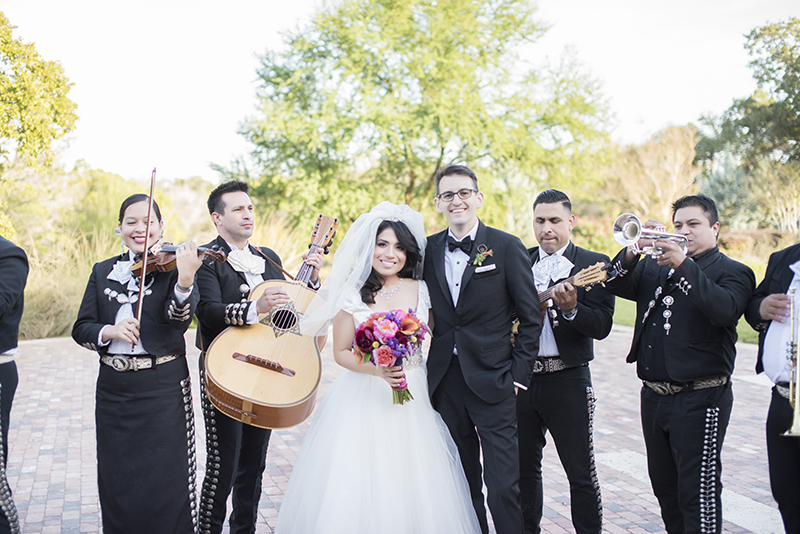 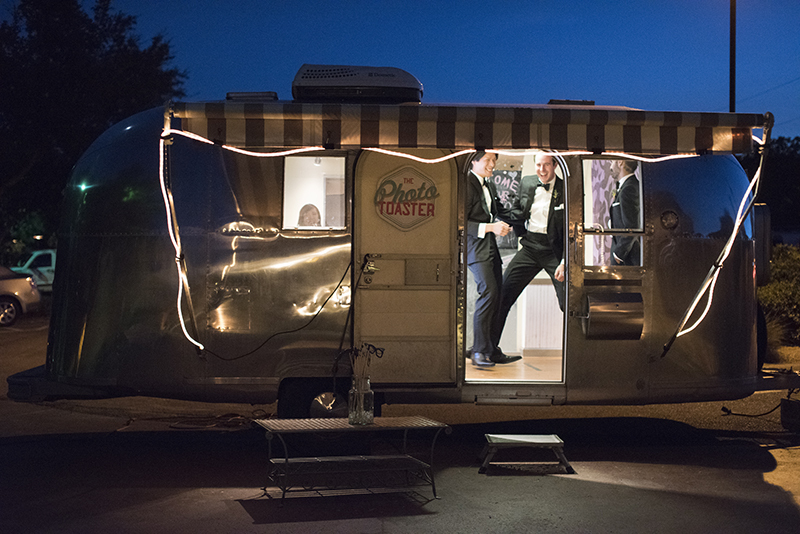 Every stage of the wedding was filled with live entertainment, colorful details, Mariachis, margaritas, and matrimony! 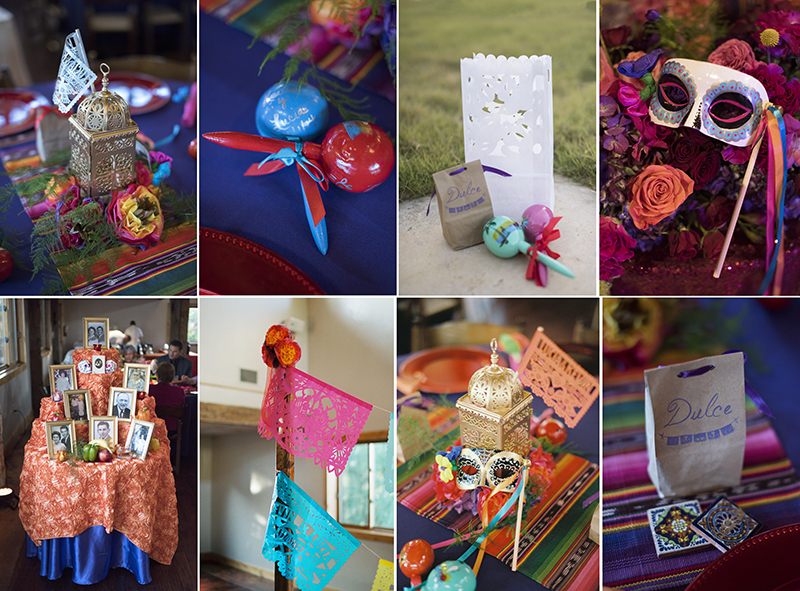 For this occasion, the bride hand crafted a three foot tall piñata, made to function as the gift table’s card “box”. 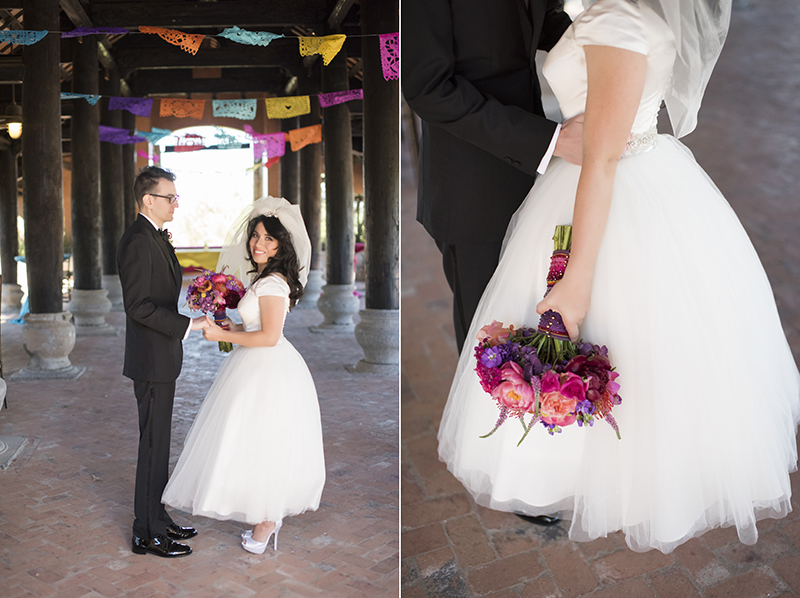 The base of the bouquet was wrapped in a cut of serape cloth, covered with more than 200 Swarvroski crystals, all hand sewn by the bride. 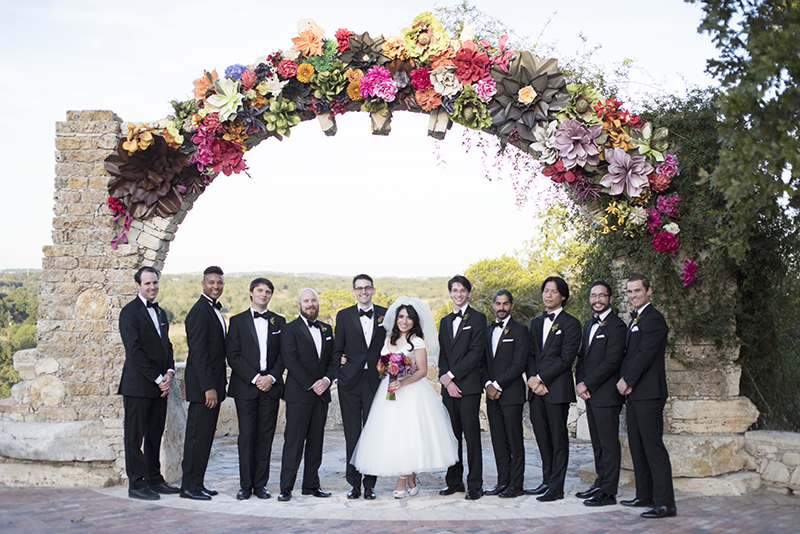 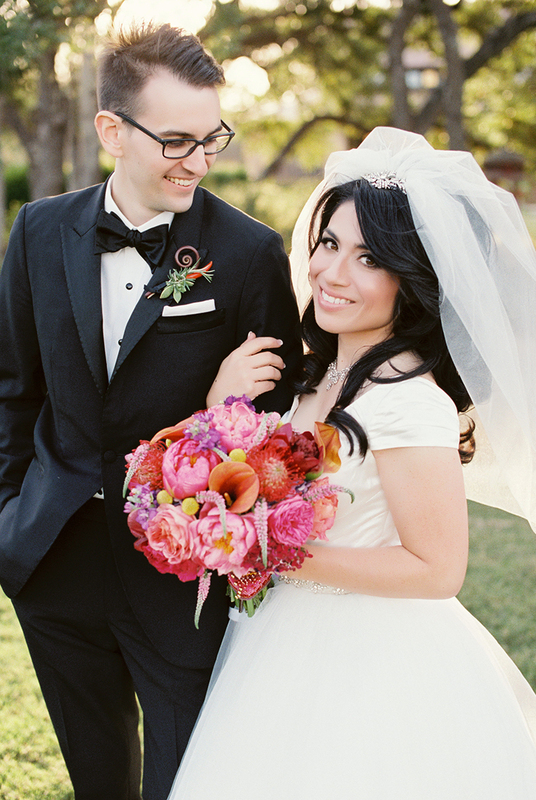 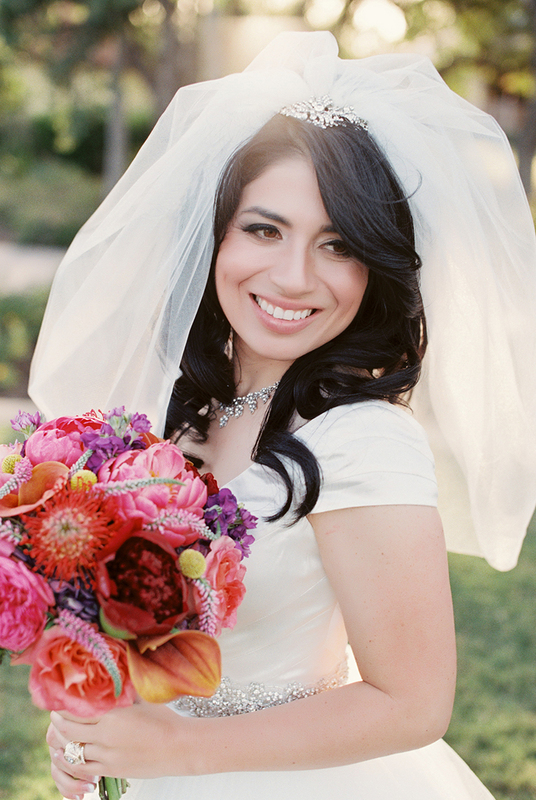 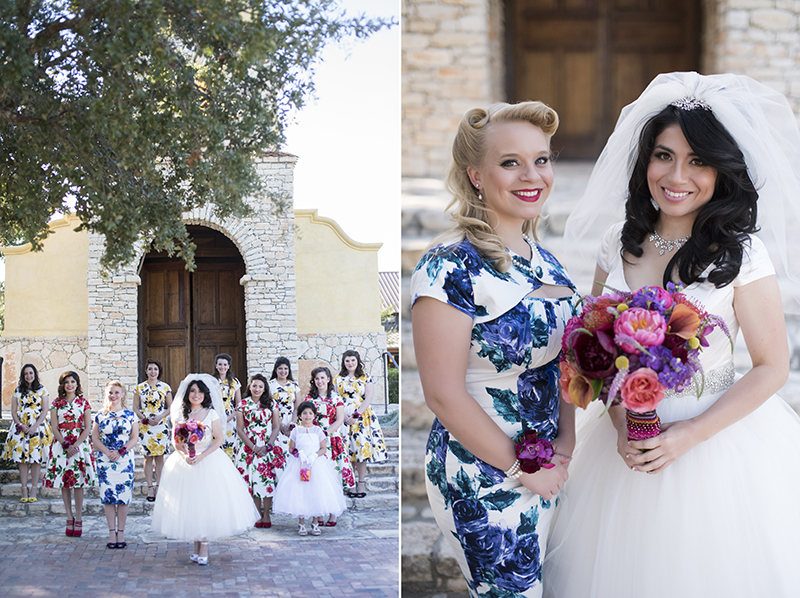 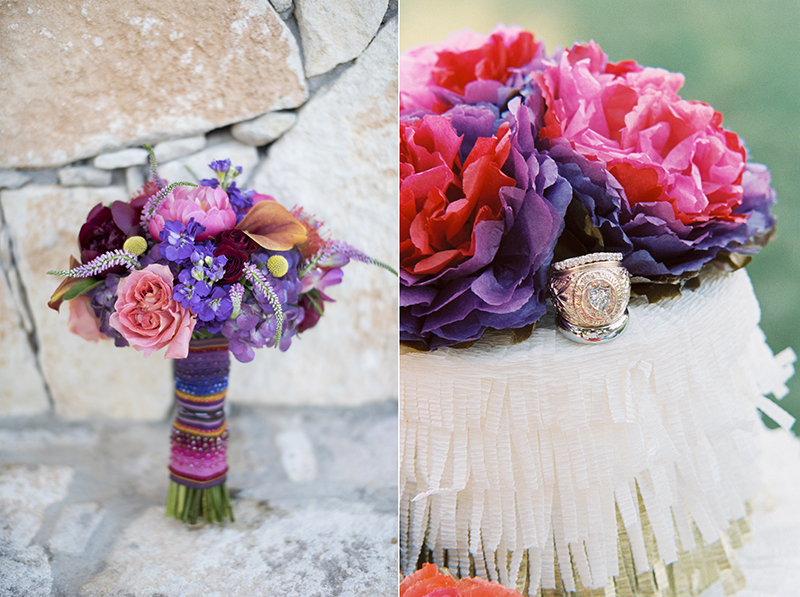 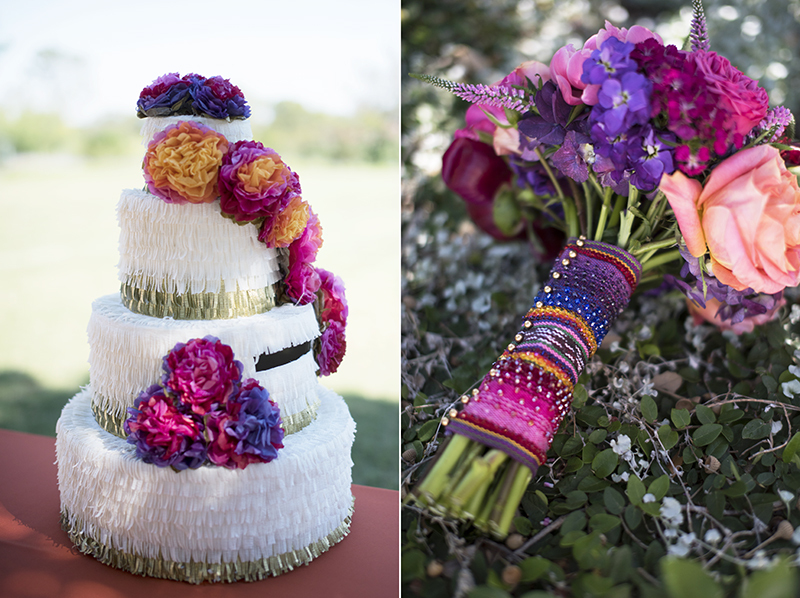 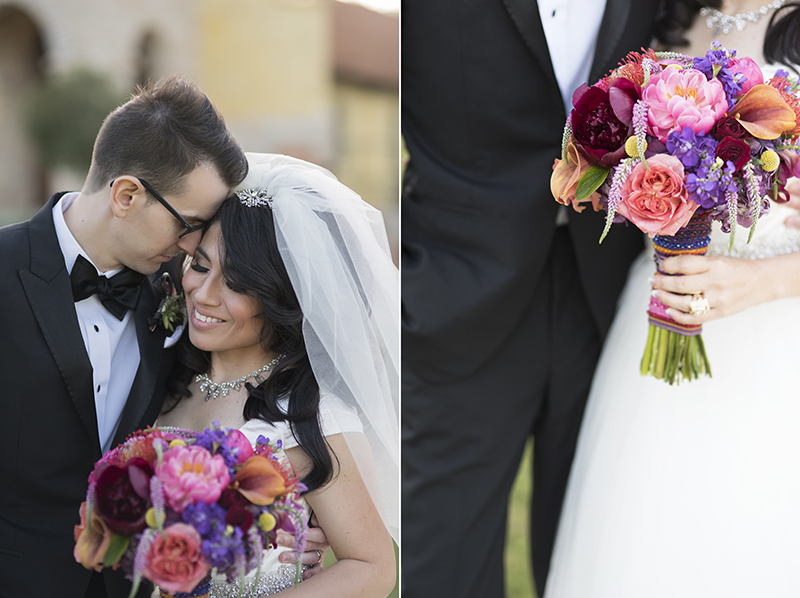 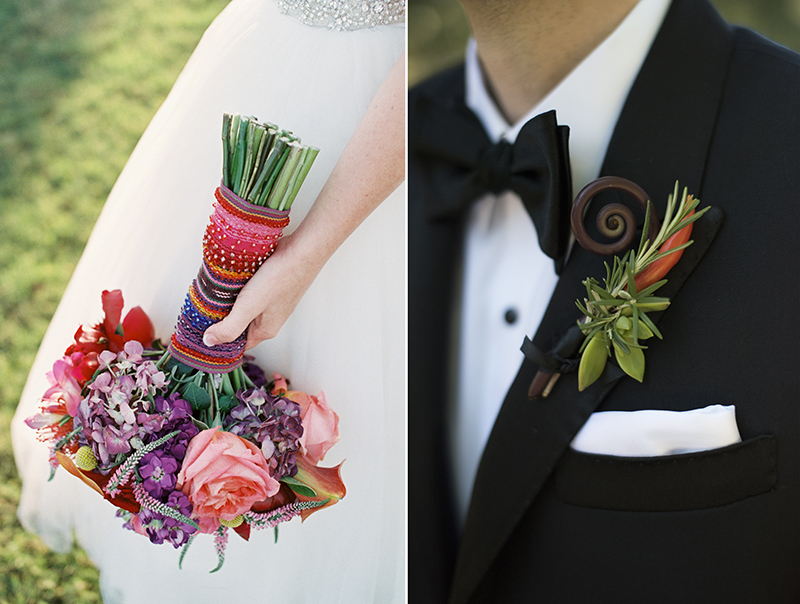 The creative team at Whim Floral designed Lucia’s bouquet to match the colors of the serape. 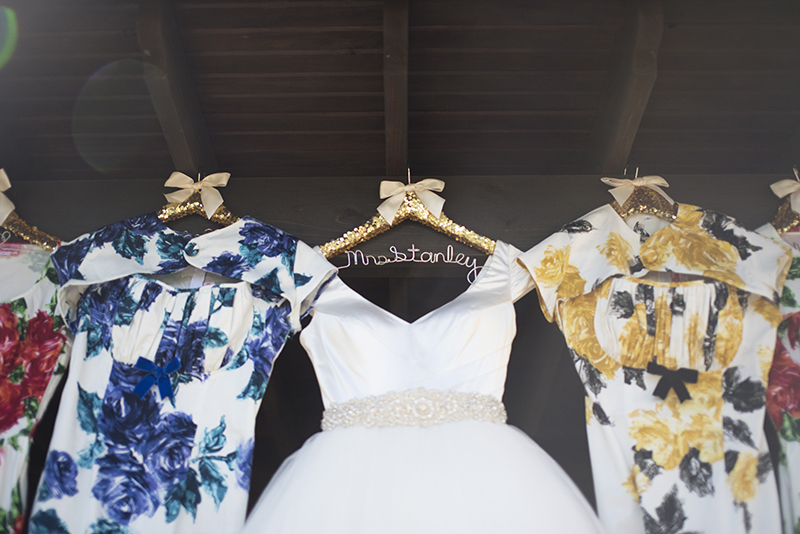 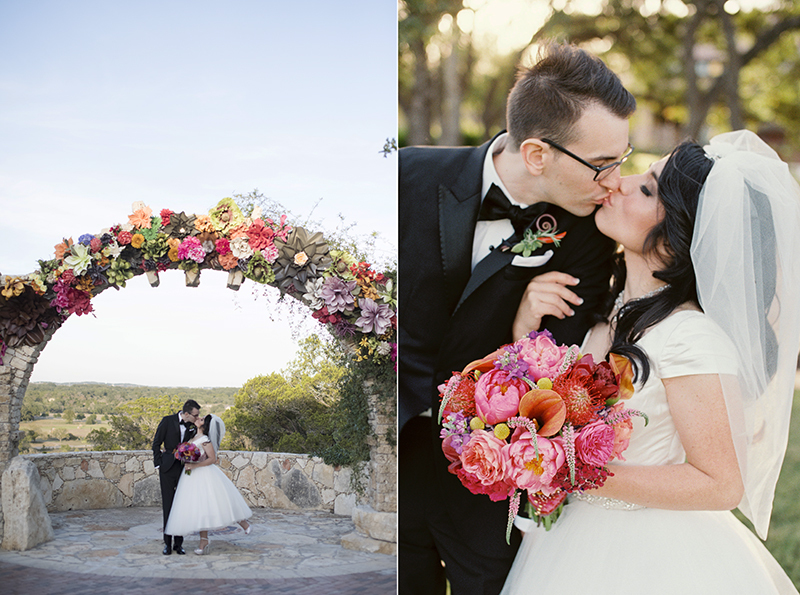 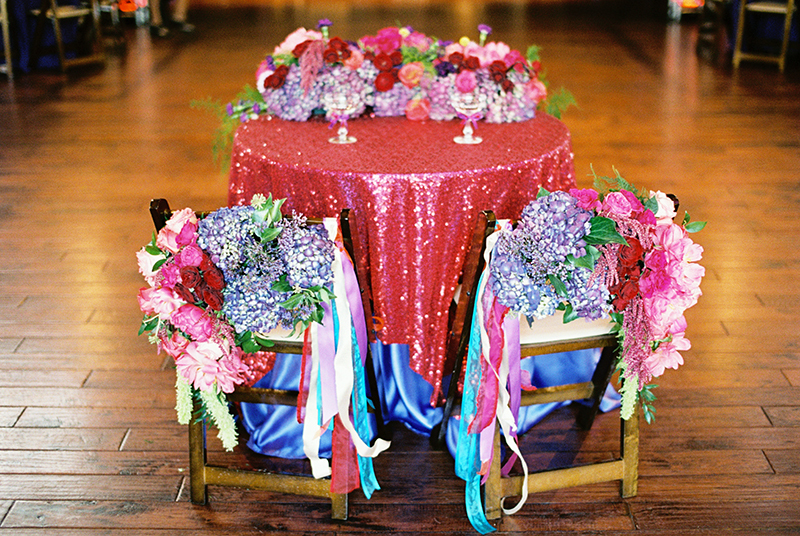 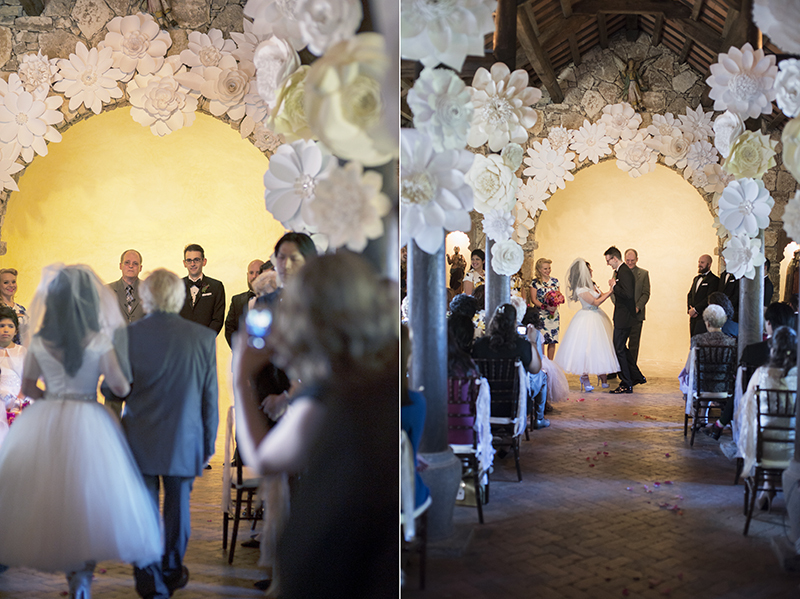 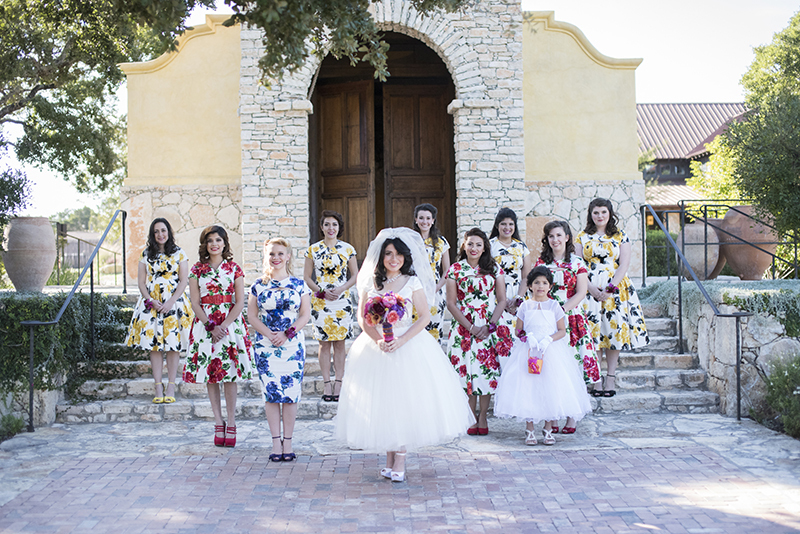 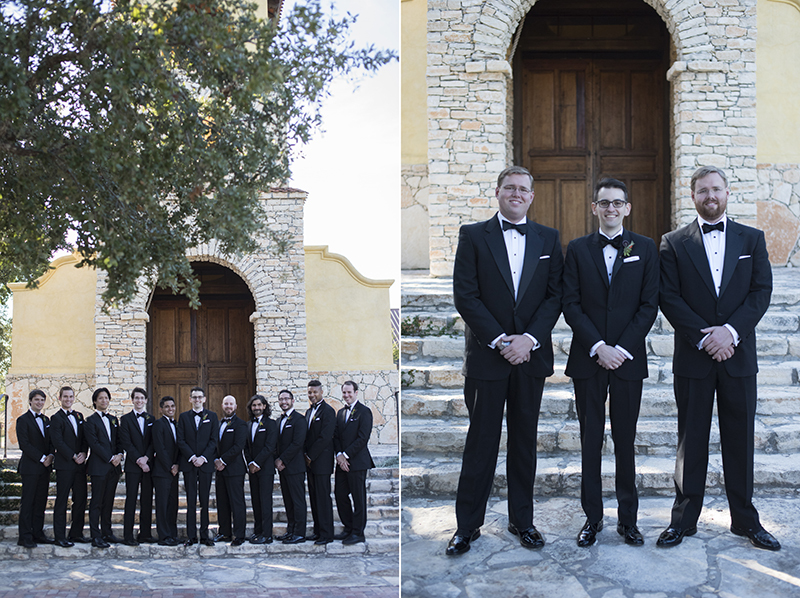 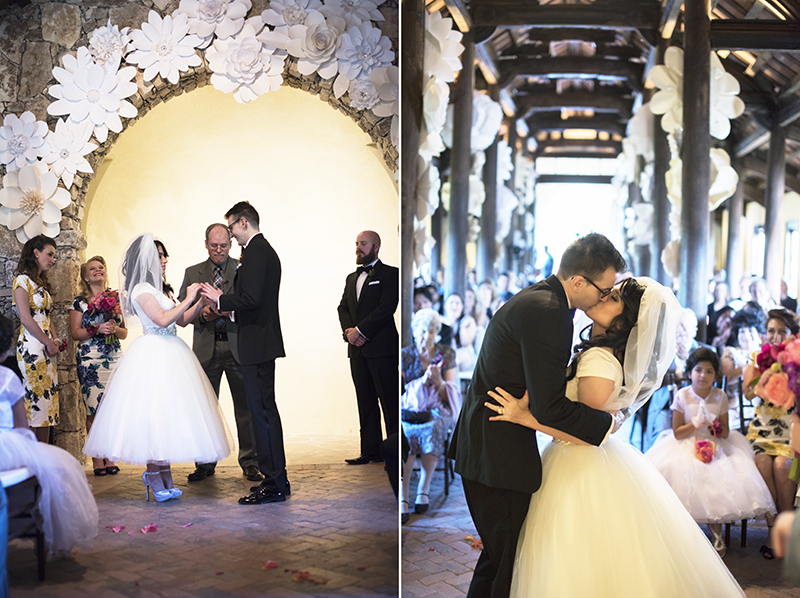 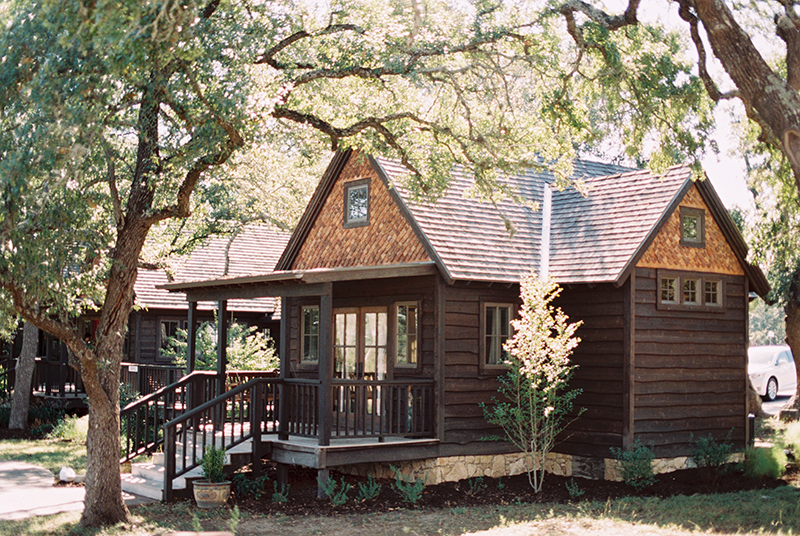 Whim Florals went above and beyond when it came to Ian’s Chapel! 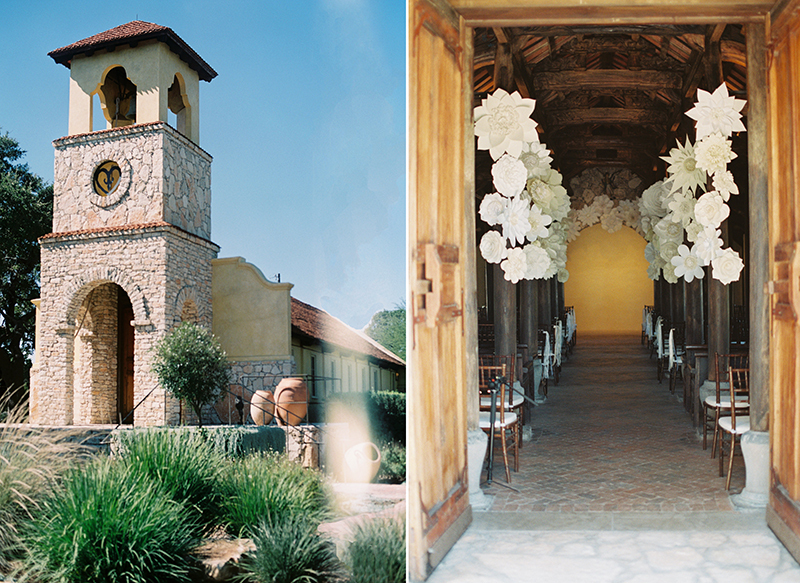 Head designer, Kari Shelton, decided to cover all the columns with sprays of large, white Belushka flowers.